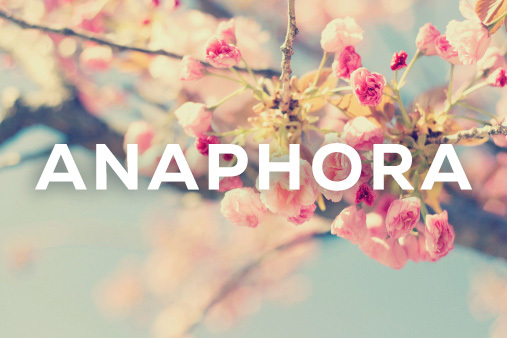 April is the month to write Anaphora. Anaphora is the repetition of a particular word or phrase. Allen Ginsberg used anaphora and also Walt Whitman. Here is a poem by Nan Fry from Negative Capability, Vol VIII.3, 1988.
my tongue at dark wings. whose eyes are slitted with light. to see the skeleton under the fur. who clings to the rock. she fastens herself to a boat. who carries a star on her nose. she digs out her road as she goes.